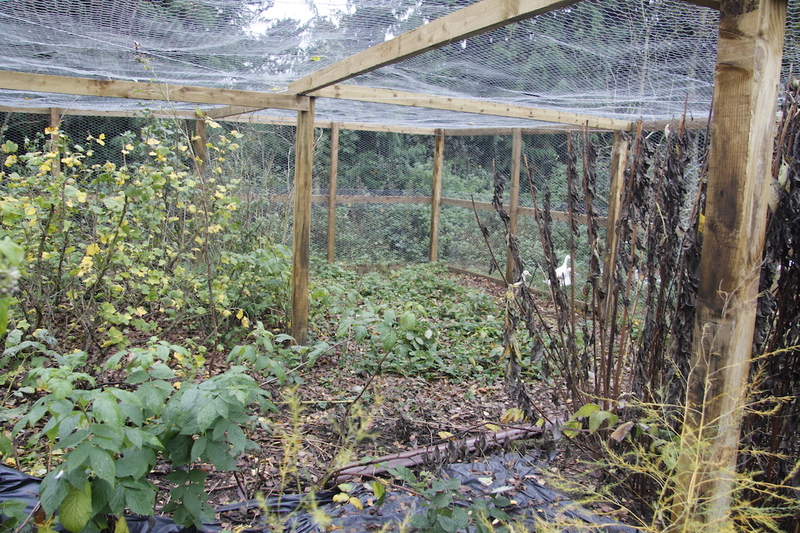 The fruit cage is finished so now the hard work of transforming it inside begins. I used to grow vegetables and fruit in this space before, but now I just want to grow strawberries, summer raspberries and currants. We are slowly digging up the veggies (and eating them) to create space to replant currant bushes and summer raspberries with a nice space around them. So far I have dug up the gooseberry bushes (and replanted them in the new gooseberry garden at the side of the house) and the cabbages. 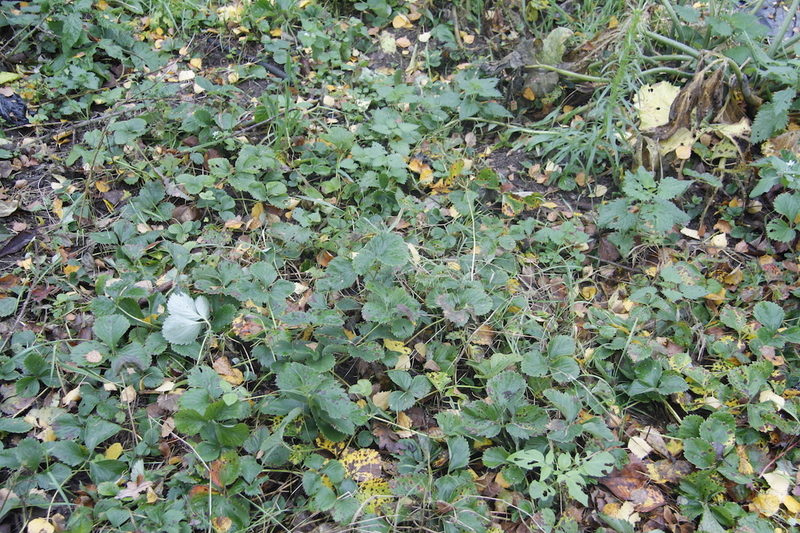 As I was digging up the gooseberries the bushes split into many – do gooseberries send out suckers?. I have replanted them all so hopefully they will all thrive and will be swamped with gooseberries for jam. 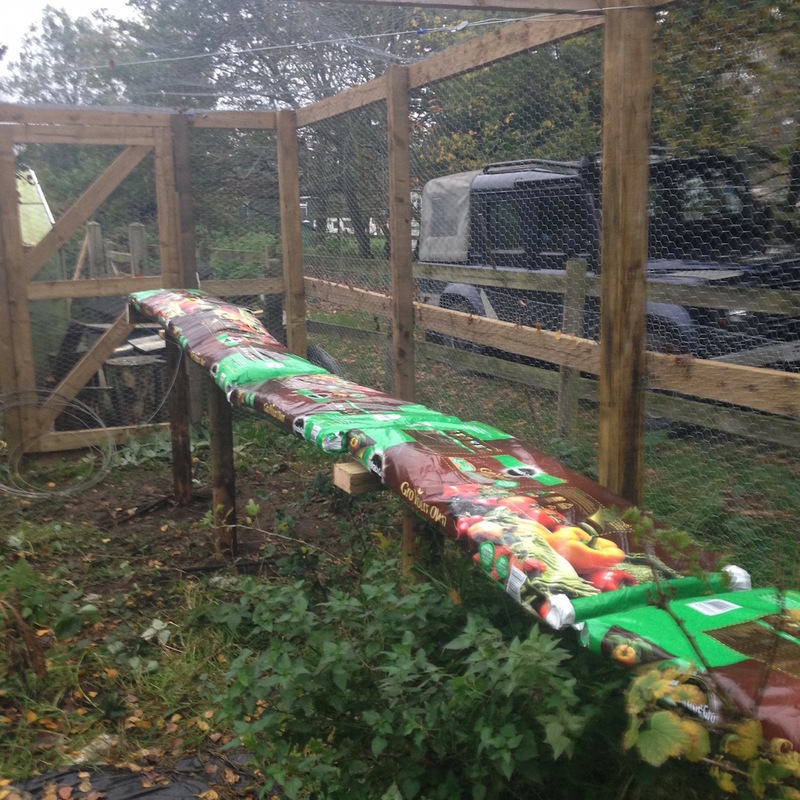 James has started rigging up raised strawberry beds. As he finishes a row, I dig up the strawberry plants and little runners and plant them in the growbags. James then sets up a new row where I have cleared. It is slow going but we will get there and when it is finished it will look great. 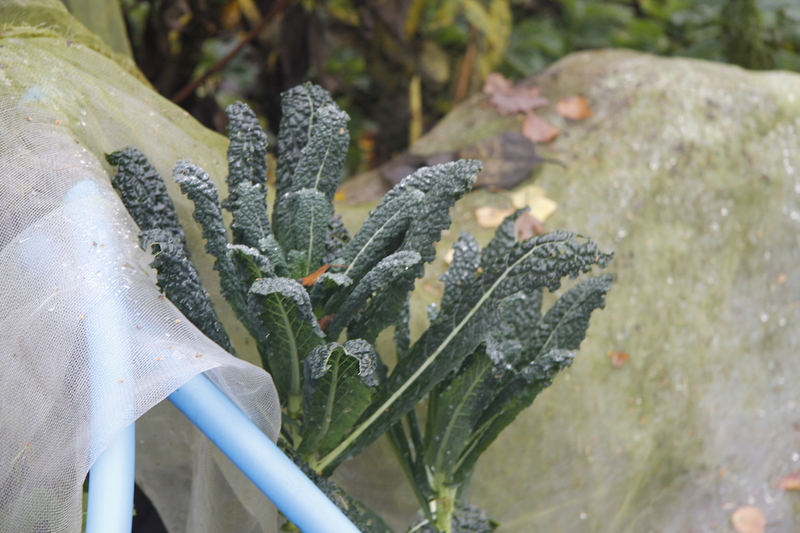 Next we need to eat all the cavalo nero and carrots and dig up all the jerusalem artichokes! The pigs will feast! I am planning on planting a lot of them in the pig field to hopefully spread and provide lots of piggy food for the future. ← Do you want to see a chicken laying an egg? I love how large this covered vegetable patch is! I’m quite envious of it, ours is all open. This is just the new fruit cage – for soft fruit. 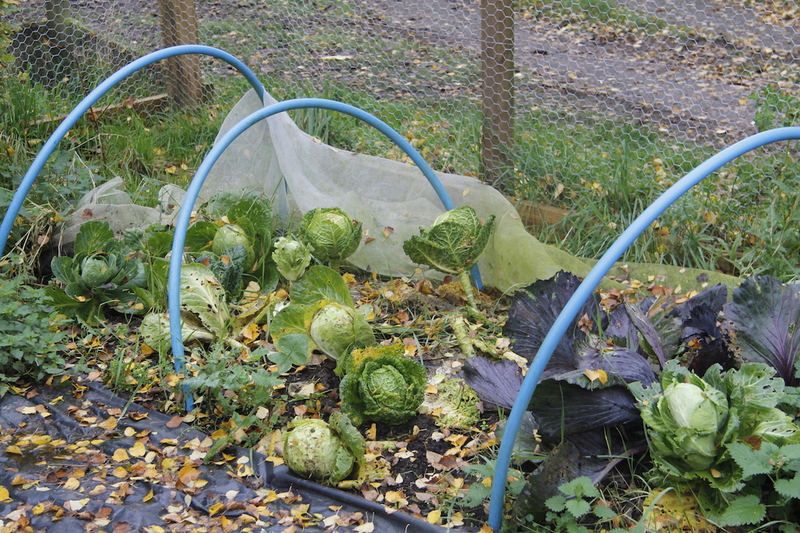 We are moving the vegetables to our hugelkultur beds on the smallholding and to a little patch behind the house. 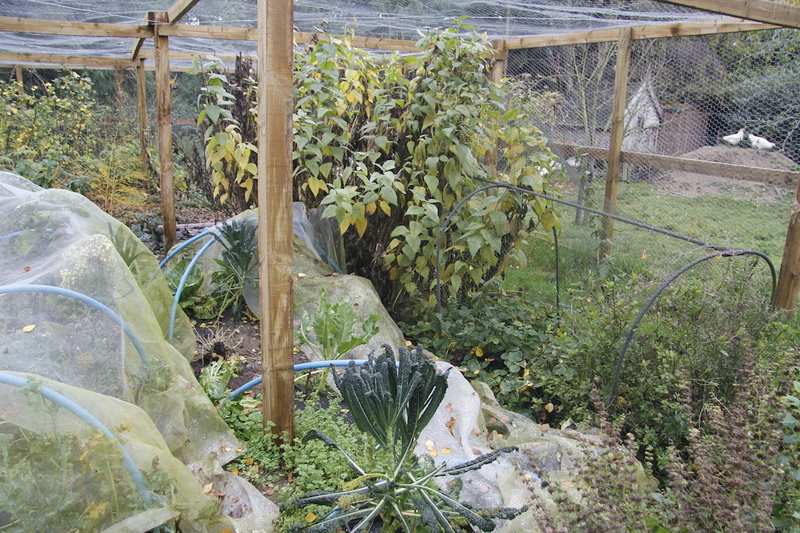 We are also making some more regular beds and hope one day to get a polytunnel – excited squeak.